Social media is wonderful and externally useful, but like anything, it comes with a need for etiquette and good old common sense!! Users have to accept responsibility for anything they post and set privacy settings to maintain social professionalism. Be discreet and aware of all of your connections. Understand that law enforcement can access your accounts if needed, and nothing is completely hacker-proof. Nurses will be held to a higher level of expectations for professionalism. Social media tools such as LinkedIn are most useful in job searches and networking. In fact many employers hire exclusively through this app. But be sure what you post about yourself on your profile is true and that you use discretion if you don't want your current employer to know you are looking around even if it's just a casual glance to see what's out there and what you might be worth. Remember your boss might be looking too. It's also a great place to join interest groups and share experiences and information about your particular field. You might even connect with old friends or previous colleagues. Facebook is great for connecting with friends, meeting new friends with similar interests and staying in touch with family and friends across the miles. But remember as a nurse you have HIPAA regulations to abide by with regards to your professional life. These regs apply to all aspects of your professional life and all levels of social media. Don't be posting stories about your patients, even if you don't use their names, it's hard to avoid details that might identify the person. And for heaven's sakes don't be posting pictures even if they tell you it's OK. What happens at work, stays at work! Twitter is another way to keep up what your friends are doing, and it also gives you information on what's trending at this moment. You can follow celebrities, sports teams, breaking news. etc. It's instantaneous and remember anything that appears on the Internet can be found again even if you delete it. So be sure it's what you want to put out there before you hit send or upload. Written words and photos can be taken more than one way and even your best friends can interpret something the wrong way and make a lot of drama for you. Make sure you know the people you allow to post on your sites, and if necessary set your privacy so that you have to approve everything first. Or have a very select group of friends who have access to any page. 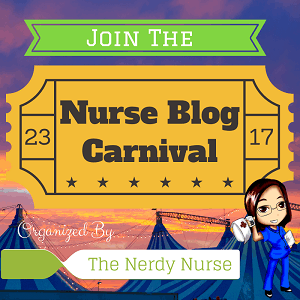 Google + is a way for nurse bloggers and authors to authenticate their writing and to gain recognition. It's also a way to connect with friends and share information. Pinterest is great for quickly sharing such things as ideas, humor and photos. Flickr allows you to share photos with those you chose to do so with. This allows others to view and possibly print or share with friends you allow to do so. There are numerous other social networking and sharing apps and websites that can be quite useful and fun. Just be sure to be aware of what you share and who has access. Also be sure to remember not everyone "gets" nurse humor or is open to hearing about blood, guts and gore. Someone you don't even know declaring something you said is offensive can get you banned form a site, or fired from your job. Enjoy social media but like anything else in your life as a nurse, understand you are held to a standard that others may not be.